Sign up for our newsletter to get up to date news, events, promotions and more! Salina is an fitness enthusiast; she began teaching yoga over 10 years ago and quickly added indoor cycling and barre instructor to her resume. 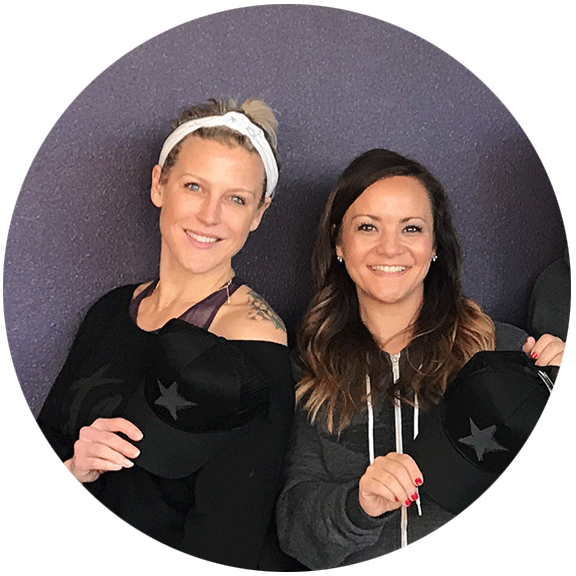 Erica was a Manager at Nordstrom and Lucy Activewear before becoming a barre instructor, which is where the 2 met and became fast friends. They heard through social media, about a new place in Lake Oswego called StarCycle and decided to check it out together. The rest, you could say, is history. Erica Gehlen grew up in Portland, OR. and Salina in Olympia, WA. Erica has 3 wonderful children and Salina has 2. Both families enjoy being active and spending time with friends and family. You will find both Erica and Salina’s supportive husbands riding in the 6am class! StarCycle Vancouver is a proud sponsor of Camas Little League. StarCycle Vancouver is located in Natural Grocers shopping center on the corner of 192nd and 34th St. behind Bank of America and across 34th street from Roots Restaurant and Bar.